Slipping into the life of a full-time freelancer was deceptively easy. A former classmate sent me a lead on a permalance copy editing gig at a daily newspaper, which I easily landed. I also parlayed an internship at a web magazine into another regular gig, managing and writing for their products blog. Sure, I took on other projects here and there… But it didn’t take much hustle to pay my bills, and I soon slipped into a sense of complacency. Then, just as the recession was creeping close enough to slap us all upside the head, the newspaper I was permalancing at folded. Months later, the web magazine I was blogging for cut back on its posting frequency. Suddenly, I realized: I’d been coasting. These days, the more projects I’m juggling, the safer I feel. Which is obvious, but what I’ve also learned is that the more you have to offer, the more projects you’re sure to have on your plate. So I write and blog for print and online magazines. I ghostwrite ebooks. I do a bit of copywriting. I take on proofreading and copy editing projects. Not only that, but I earned my career coaching certification so that I could coach other freelance writers and publishing professionals. I host networking events. And — just for kicks — I’m an on-call funeral singer. Aside from the singing, I feel as if all of the work I do is in some way connected, each service I offer a natural extension of the others. Which makes it easier to build a cohesive brand. So, as a freelance journalist, what else could you be doing to bring in the bucks? 1. Seek out different types of writing clients. It’s all well and good to write for your favorite glossy mags, but when that lifestyle is characterized by pitching, waiting, more waiting, more waiting, maybe landing the assignment, pushed-back pub dates, and payments made at least 30 days after publication (why are we doing this again!? ), it could be smart to consider additional forms of writing income. Some alternate forms of writing to consider? Industry-specific articles for business-to-business publications. Corporate copywriting. Ghostwriting (books… blog posts… even social media accounts!). Greeting card copywriting. The possibilities are endless! 2. Use your word nerd abilities to clean up the writing of others. Always hand in perfectly clean copy? You may have a very bright future on the other side of the red pen. Consider copyediting or proofreading for a magazine, newspaper, or book publisher. Offer freelance editing to other authors. Become a section editor for a print or online publication. 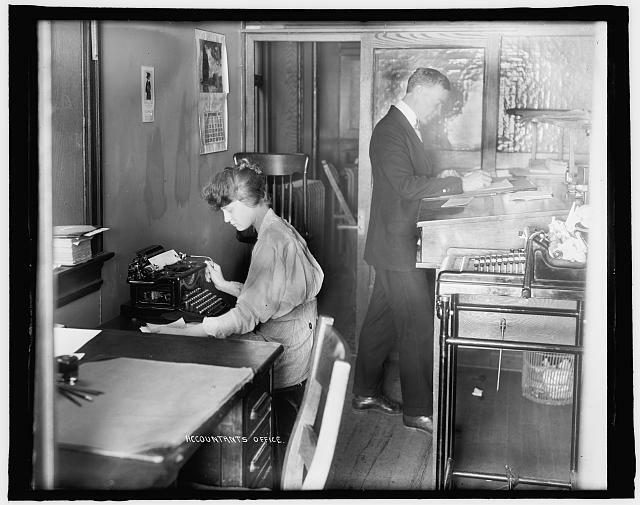 Consider angling for a developmental editor position at your favorite publishing house. Of course, if the thought of nurturing other writers instead of working on your own manuscript makes you wince, you could start a niche blog and find a way to monetize it. Advertising dollars aren’t what they used to be, but you could always use your blog to build up a mailing list and promote your other products and services. Speaking of products, why not develop an information product, like an insider report or ebook? You won’t have the power of a traditional publishing house behind you but, depending on how you self-pub, you could have all the profits. 4. Share your boundless wisdom. There are universities with strong continuing education programs out there just itching for some high-quality, part-time writing profs. Sites like mediabistro also offer classes and publishing panels, and are always looking for new teachers. Or if you’d rather go it alone, you could host your own e-course. Of course, if the thought of teaching large groups of people makes you feel light-headed (I’m with you, man), you could do what I did and offer one-on-one coaching or consulting. 5. Brainstorm some other ideas. Ask yourself: What do I love to do in my spare time? What parts of my job or other life activities do I most enjoy? What are my natural talents and my greatest successes? What are my passions? This list has a lot of ideas, but it’s not complete. If you’re struggling financially, I strongly suggest that you consider diversifying. You have a lot to offer. More than you think. 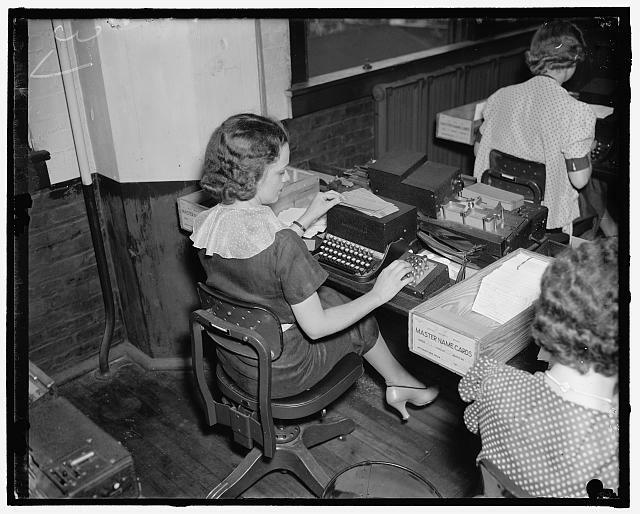 For many freelance journalists, queries are the key to landing assignments, yet many writers send generic pitches that don’t include enough information to entice an editor. The trick is giving enough information to show that there’s a story worth covering but not so much that you overwhelm the reader. How do you know when you’ve hit that sweet spot? Here are five essential questions your query should answer. It’s not enough to say that you’d like to cover house foreclosures in your area. Will you cover how this impacts other homes in the neighborhood? Will you talk to recently foreclosed families to see what happens after they leave their home? Will you visit local animal shelters to see if they’ve had an influx of pets from foreclosed homes? All of these ideas offer a potential angle, and it’s often smart to focus on one angle instead of tackling a big, broad topic with lots of little threads that can’t be fully developed in a single article. I’ve had students in my freelance writing class who want to write an article based entirely on their own experiences. That’s fine for a personal essay, but if you’re pitching a reported piece, your editor will usually want you to interview others, often a mix of “real people” and experts. If you really want to wow an editor, you could do a quick speculative phone interview so you’ll have a juicy quote to work into your pitch. Other times, it’s fine to simply list a few potential sources you could interview. That shows your editor that you understand whom the major players are and you’re prepared to do some reporting. As you’re writing a query, ask yourself why readers of X magazine or website will want to read this information. Will these tips potentially save them money or improve their work/life balance? Will this story inspire or entertain them? Will it educate them about a serious health risk or transport them to another part of the world? If you can’t answer this question, then you may have a mismatch between your idea and your target market. Depending on your target publication, editors may be hungry for ideas that feel current or they may be open to more evergreen stories. Timely ideas could center on an movie release, a product launch, an emerging trend, or a recent study. Evergreen stories could have a tie-in to current events or upcoming holidays. Mentioning a time hook creates a sense of urgency and hopefully gets your idea out of the slush pile and into assignment mode, shining above any other article writer. Now that you’ve sold an editor on your killer story idea, you need her that you are the best person for this assignment. That’s why you should never leave out the “why I’m so great” paragraph. Maybe you’ve covered real estate for over a decade, so you have the reporting chops to tackle that foreclosures story. Maybe you’re a working mom, so you understand the parenting magazine’s readership and you have some humorous anecdotes to share. If you’re just starting your writing career, then think about the topics you’re uniquely qualified to write about and play up your connection to the topic. The very first thing you learned as a freelance writer and journalist is advice on how to come up with article ideas. Look within, they say. Sounds almost yen like, but what it really means is to look at your experience, your interests and your hobbies. We learn the old tricks, come up with our own and yet at times, we end up with the same thought, I can’t think of a darn thing. If recently you’re running through your list of previous tried methods, but still coming up short, then try these methods, which can help you truly utilize the new media available today. 1. Social media Even if you’re new to social media, don’t sweat it. Even as a beginner you can make the most out of it. Facebook, Twitter and Linkedin all have community pages, groups and forums of various sorts that you can like, join and follow. Constantly review these groups’ pages and check for regular updates on local community events or potential story ideas. Likewise, you can also join community forums on these social media sites that are listed under your specific subject area. For example, you specialize in health and business articles; follow groups or forums of such subjects. Post on them regularly to introduce yourself and inquire about story ideas. 2. More Social media Follow or friend enough informed people and you end up with a world of resources. Facebook and Twitter members love posting articles, videos and websites all the time. Routinely check these pages and see what you can find, one, two or three articles might come out of it. 3. Subscribe to various newsletters. You can follow a plethora of them online these days on multiple topics, such as health, business, entertainment, political, food or gardening. You can subscribe to blogs, magazines and organizations. Business newsletter topics can lead to various ideas, such as financing a business or bankruptcy mistakes. 4. Convert national stories to local articles. Read national magazines and newspapers as well as watch network and cable news for how a national story has relevance locally. Likewise you can convert local stories into national trends. Doing a series of health article on women’s health for a local newspaper? Find out how that issue can affect women, nationally or globally. Review websites such as http://Orato.com, which bills itself as a “citizen journalism” site and The Women’s International Perspective. These sites can help you rethink aspects of a story idea. 5. Plan and focus on holiday topics or national awareness months. Keep track of the List of National Awareness Months, October is Breast Cancer Awareness Month and November is Diabetes and Family Caregiver Awareness Month. You can prepare and pitch articles for both local and national publications well in advance. 6. Review your email folders. If your emails are organized in a fashion where you keep certain messages saved in folders, this can help lead to ideas. Say, you keep all local business email contacts in one specified folder? You can review those emails and see if you missed something from a few months or a maybe a year ago. An article idea that might just work today. A helpful hint: create an email address just for email newsletters. Saves space on your main email address, which should only be used for those favorite editors you can’t live without. 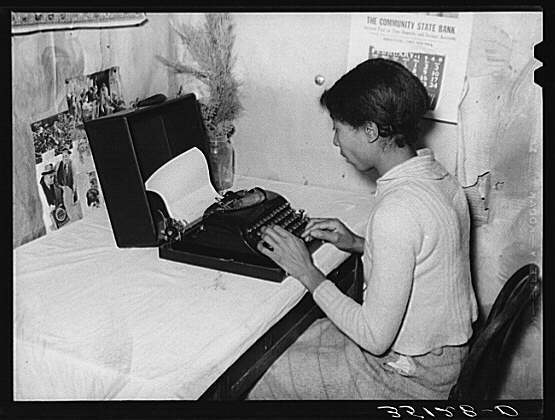 Gone are the days when simply being a strong writer was enough to earn a living. Nowadays, many editors and clients expect freelancers to have skills beyond writing a snappy headline or a poignant turn of phrase. Here are five skills that will help set you apart from other freelancers and make you more valuable to your clients. When you are a freelancer every cent counts, especially when it’s going towards tax payments. Knowing which expenses are deductible and which aren’t can mean the difference between owing the IRS money and getting a juicy refund. The trouble is that unless you work as freelance accountant you are probably no expert in tax law. You may worry so much about the consequences of claiming for a deduction you are not entitled to that you decide to play it safe and forget altogether about a perfectly-good write-off. A classic example of this is the write-off of your home office as a deduction. This is potentially a huge write-off many freelancers shy away from. Granted, the IRS does require you to work for it. For instance, you may, among other things, have to calculate the area of your office and represent it as a percentage of your home’s total area (see reference 1). Yet, even if your office is only 10 percent of your home’s total area, you can deduct 10 percent of your mortgage, property tax, insurance, repairs, and utility and services bills. Just this well-known write-off could save you thousands of dollars. By most standards, that is a lot of moolah. Imagine what you could save when you start looking into the more esoteric write-offs most freelancers either don’t know about or prefer to give a wide berth. The minute you drive your new car off the dealership’s lot it loses, on average, 11 percent of its value, and after 5 years it is only worth 37 percent of what you paid for it. (See reference 2). Things lose value, and fast. The good news for freelancers is that this painful phenomenon, technically called depreciation, can become your ally when it comes to tax season. You can deduct the depreciation of any tangible property as long as you use it in your business and it has a useful life of more than one year. Stuff that lasts less than a year you can usually deduct as a business expense. However, not all property depreciates at the same rate, and you must follow IRS rules strictly or risk your getting your deduction shot down if your business is audited. The IRS uses the Modified Accelerated Cost Recovery System, MACRS, which assigns a depreciation rate on property depending on its estimated useful-life expectancy and how old it is. Cars, computers, cell phones, cameras and office machinery are considered 5-year properties, while office furniture is a 7-year property. Once you know what category the property you are claiming for falls in, it is simply a matter of multiplying its purchase value by its depreciation rate in an MACRS table. Banks are not the only ones who have to worry about bad debts. As with all businesses, freelancers have to face clients who don’t want to, or can’t, pay their invoices. If you use the accrual accounting method to calculate your taxes, you can deduct unpaid invoices from your self-employed tax. As your business grows you may find you have more work than you can handle by yourself. One option is to share the work with another company or freelancer as a subcontractor. Although sharing the load with others is an excellent way to take on more work and make more money, it can become a huge tax burden if you report as income payments you make to subcontractors. Reference 1: IRS Publication 587 Home Office Deductions. Reference 2: Edmunds: How Fast Does A New Car Lose Value Infographic. Reference 3: IRS Publication 946: How to Depreciate Property. Reference 8: Independent Contractor or Employee? About the Author: Andrew Latham started working as a freelance journalist while working as a volunteer teacher in Nicaragua. It started as a way to pay the bills and put his bachelors degree in English to work, but has now become his new career. He had previously worked as an assistant editor for a print real estate magazine and as a project manager for a construction contractor. That experience has been invaluable in creating a niche for himself as a copywriter in the real estate, construction and mortgage finance industry.